[or nothing] is curated by Louise Bernatowiez, Michela Sacchetto & Richard Neyroud. [or nothing] is an invitation addressed to an artist to conceive a project in a specific space. 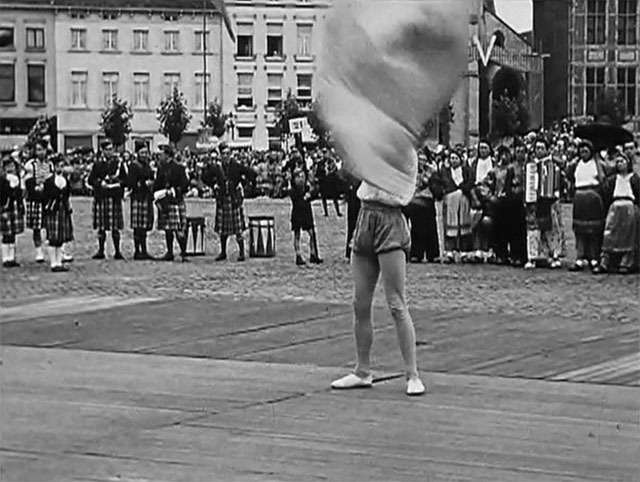 Folklore, during a parade, in Belgium, with a flag, the flag twirls around: FLAG DANCING MOVES. An exercise of the hand, an exercise of painting, an exercise of the flag, an exercise of the mind, an exercise of celebration: FLAG DANCING MOVES. Into the elevator all way up to the 25th floor: FLAG DANCING MOVES.